In this digital age, the EP, acronym for "Extended Play," is an oddity. In ye old days of vinyl, the concept of the EP was that it offered more songs than a 45 single, usually unreleased material that wasn't on an album. The expectation for the fan was to find that discarded gem, leading to ask the question, "Why didn't this song make it on the record?" But today, at least for two singer/songwriters, the EP simply documents where they are musically. For one young songwriter, the hope is to gain a buzz; the other embarked on a side project in advance of an anticipated full-length. Both have channeled musical inspirations from the U.S. South, though one left the banks of the Mississippi River heading west (to Southern California), while the other, based in the UK, went to Nashville. Lissie Maurus, a 26-year-old Rock Island, Ill., native (who goes simply by "Lissie") bounced around the L.A. area coffee shop scene before landing an opening gig for Lenny Kravitz in 2008. After being signed to Madonna's floundering Maverick label, she was shuffled and eventually dropped. 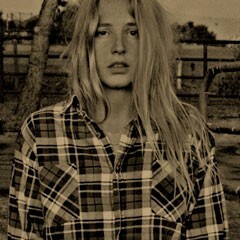 Lissie's producer, Band of Horses bassist Bill Reynolds pointed her towards the R&B label, Fat Possum. The opening cut of her Why You Runnin', "Little Lovin," is a smoking blend of 1960s country soul (with nods towards Bobbie Gentry, Dusty Springfield and Jeannie C. Riley) with contemporary influences, such as Neko Case and Feist. It's evident she has an immense wealth of raw talent -- it shows in the power of her voice -- but she also lacks refinement and restraint. Hopefully, in time, this too will come to this promising troubadour. The more seasoned UK singer/songwriter Pete Molinari took a turn in Nashville, laying down a handful of cover songs with producer Adam Landry, bringing in a crack group of musicians including pedal steel player Chris Scruggs (grandson of Earl Scruggs) and, for two songs, Elvis' legendary vocal group, The Jordanaires. Rather than Elvis, Molinari fashioned his singing style around the influence of Ricky Nelson, which seems to suit Molinari like a glove. His versions of country classics "Satisfied Mind" and "Guilty" are excellent hybrids of "retro" and contemporary (and having The Jordanaires add their warm backing vocals doesn't hurt either). It'll be interesting to see how this Nashville experience tempers his upcoming full-length, following up his excellent 2008 release, A Virtual Landslide. Both of these EP's seem to be a testing of the waters, providing intriguing releases of two singer/songwriters at different points of their careers, seeking inspiration for a more committing full-length offering. Both Lissie and Molinari have immense talent that should make it worthwhile to follow these singer/songwriters down their current courses.